This photo is from my cemetery sunset set. I dialed back the saturation just enough to leave the sunlit areas in colour. I think it came out okay. 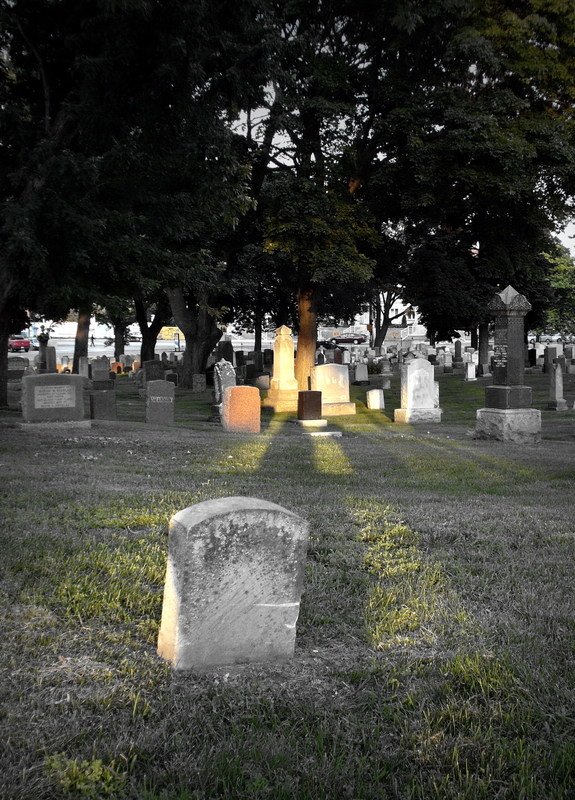 This entry was posted in Churches and tagged Art, Cemetery, Digital Photographs, Digital Photography, Graves, Gravestones, Photo Art, Photographs, Photography, Photos, Sunsets, Toronto, Trees, Urban. Bookmark the permalink. Thanks. The sun was cooperating.